Shaw Communications-owned regional carrier Freedom Mobile increased its postpaid subscribership by 86,067 additions in the first quarter of 2019, according to Shaw’s latest earnings report. 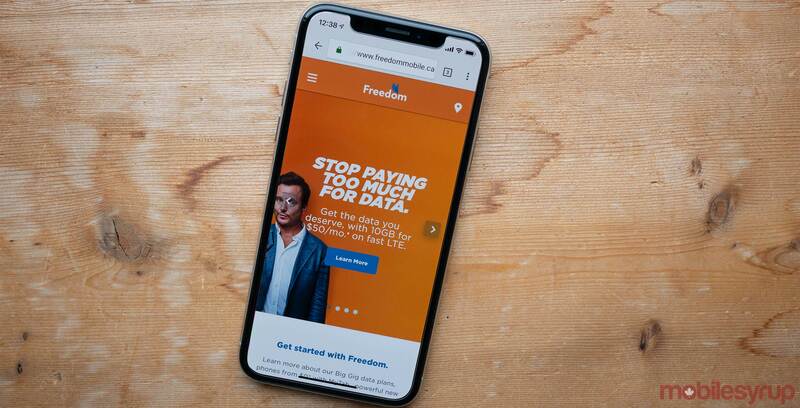 Thanks to the loss of 20,452 prepaid subscribers, Freedom Mobile now boasts a total wireless subscribership of 1,468,473 customers. “More than half of the prepaid losses in the quarter included customer migrations to higher value postpaid plans while the other half was attributable to an active competitive environment targeting the prepaid segment,” reads an excerpt from Shaw’s January 14th, 2019 report. According to the same report, Freedom Mobile’s postpaid churn rate sits at 1.28 percent, compared to 1.64 percent from Q1 2018. The carrier’s average billings per unit (ABPU) sits at $41.99, compared to $37.46 in Q1 2018. Additionally, Freedom Mobile’s average revenue per subscriber unit (ARPU) is $38.64, representing a seven percent increase compared to Q1 2018. Shaw’s wireless revenue totalled $102 million. Of that figure, service revenue totalled $40 million, while equipment revenue totalled $62 million. Overall, Shaw’s revenue increased by approximately 8.8 percent, growing to $1.36 billion.